After the mix up last week made sure that musical throwback Thursday is back on Thursdays. Have been hearing a lot about the troubles will the third Guardians of The Galaxy movie. That got me thinking about songs from those movies. There is many great ones to choose from. 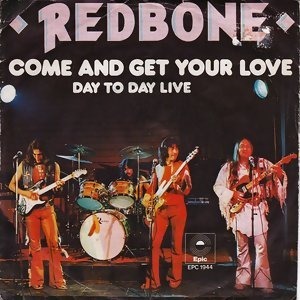 So picked Come and Get Your Love by Redbone. The song is off their 1974 album Wovoka. You can give it a listen > here or below.